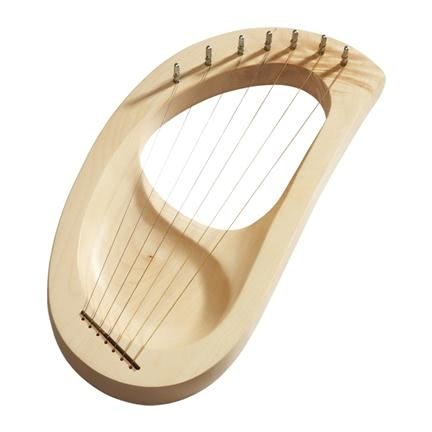 A maple harp with a clear, bright tone. The Art Makes Sense Children's Harp is intended to be a simple instrument which, through games, playing together and listening, enables the child to know music in the broadest sense. Art Makes Sense pentatonic Children's Harp - 7 strings. Maple wood, width approx. : 20 cm, height approx. : 39 cm (width approx. : 7.87 inch, height approx. : 15.35 inch), including tuning wrench, manual.